On the road, headlamps are used for more than just seeing. They are also used to be seen. 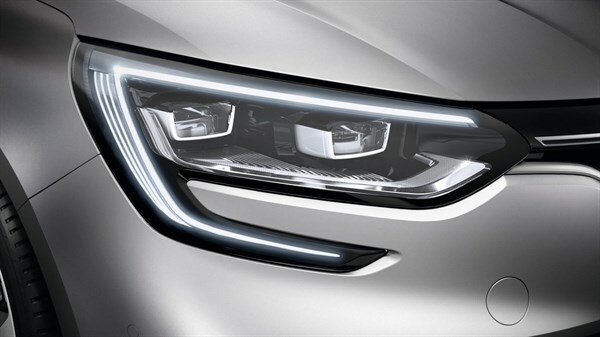 In order to ensure your safety and your comfort in all circumstances, Renault experts repair or replace your headlamps depending on their condition. A headlamp no longer works in the front or the rear of your vehicle. You notice the indicator has an unusual speed. Your headlamps do not illuminate as well. Your headlamp is damaged: cracked, broken or scratched. If you notice one of these signs, have your headlamps checked. You can have an appointment by calling Mr Sanjeev MUNOHUR on 207 2460 for our Showroom in Pailles, or Ms Marie-Annique LAVAL / Mr Heman Kumar GOONJUR on 244 3115 / 59 41 66 56 for our Showroom in Forbach. Our experts are here to advise you. A team of specialist bodyshop technicians will take care of your vehicle to offer you the most appropriate solution. Xenon headlamps: improved range of 80m, amplification of 90% of the light in turns and 40m increase in the lighting range in code point. Fixed bending headlamps: 90% improvement in the visibility distance and an increase in the range of the main light flux for a better evaluation of the road. Turn bending headlamps: visibility distance doubled and beam height automatic adjustment system. For further information visit our premises. Motorcity, Circle Square Retail Park, Forbach. Phone: +230 244 3116 | Mail: malaval@uml.lealgroup.com.